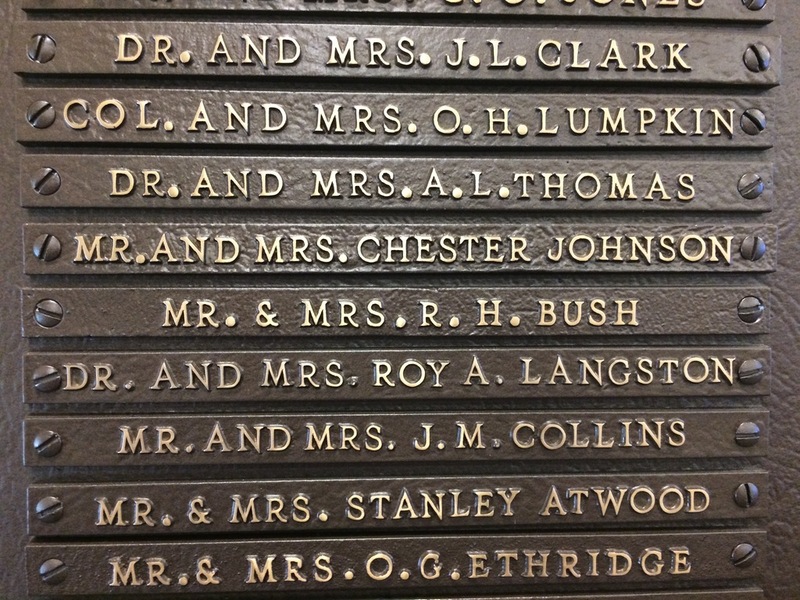 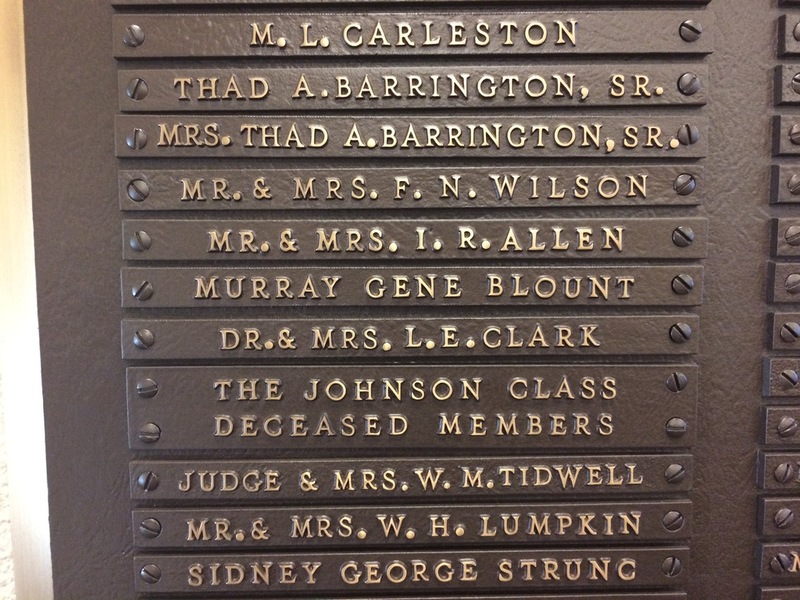 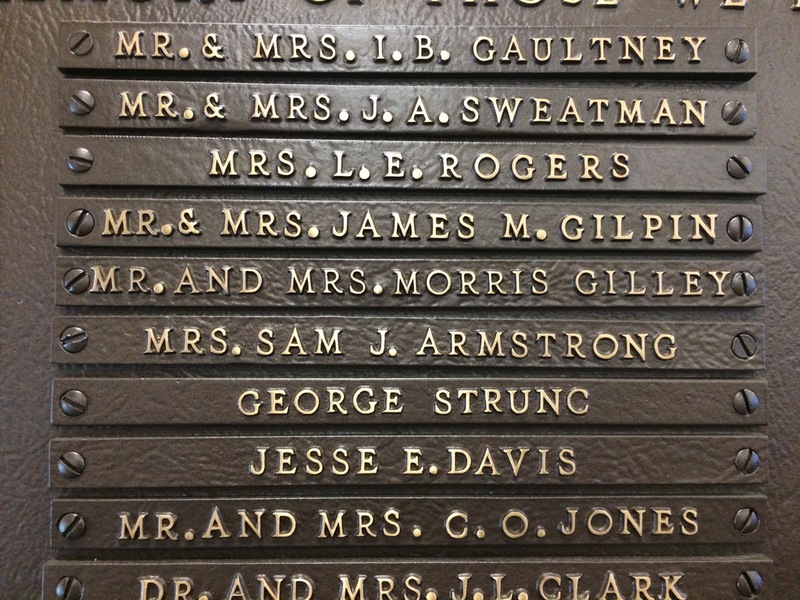 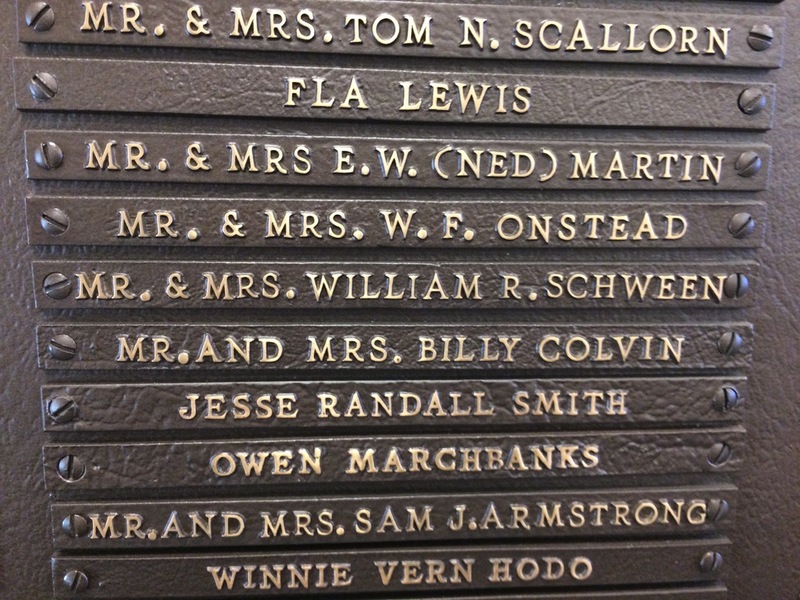 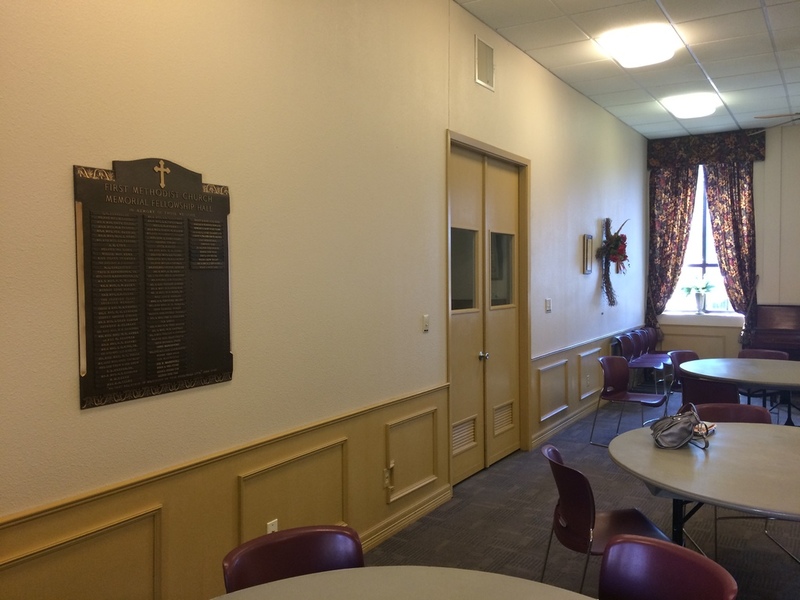 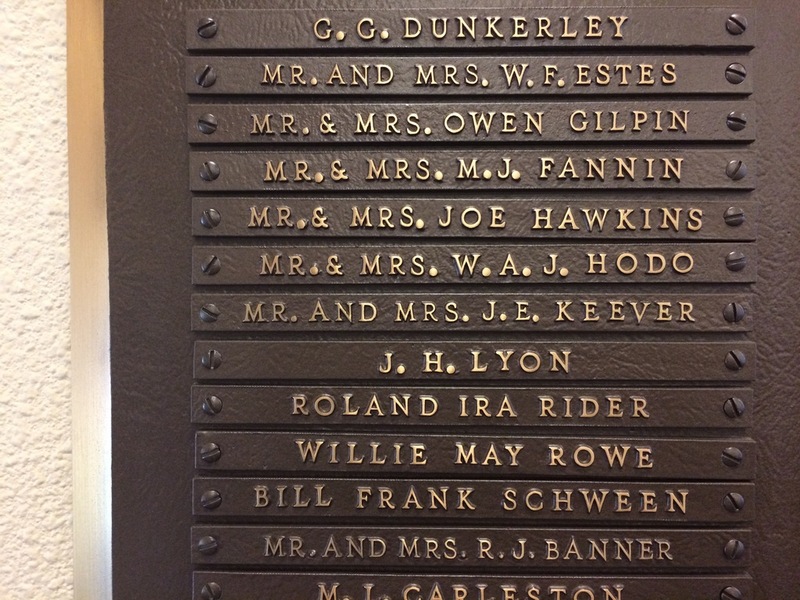 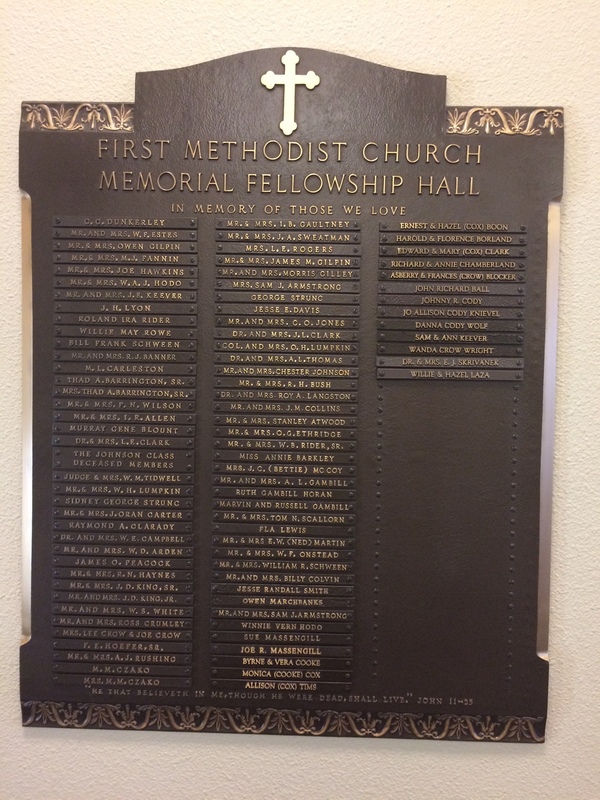 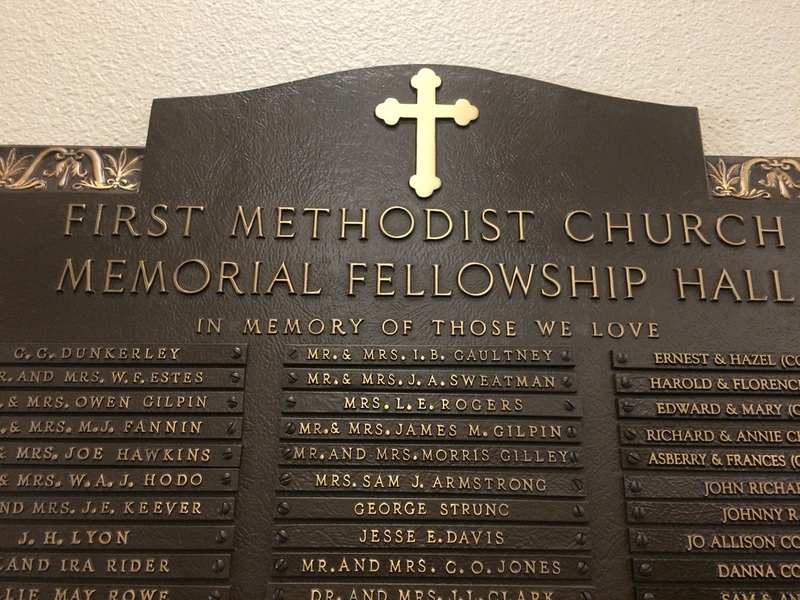 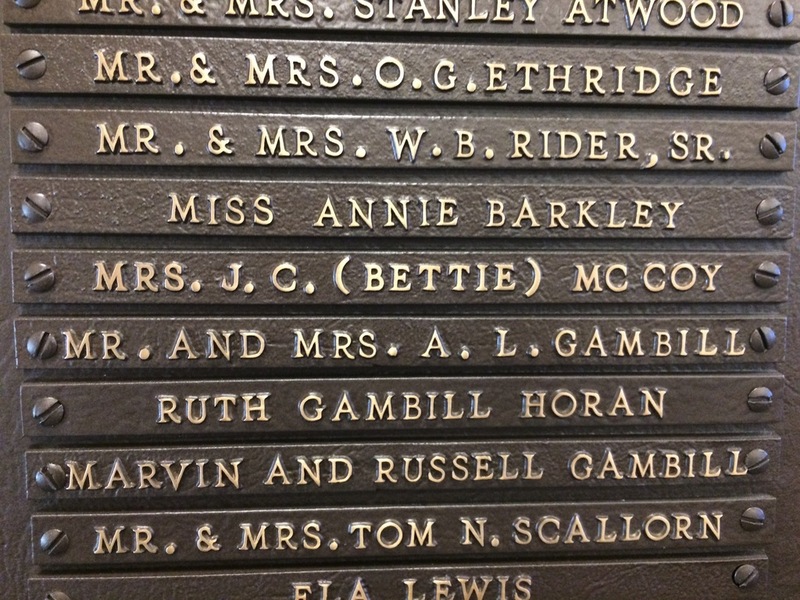 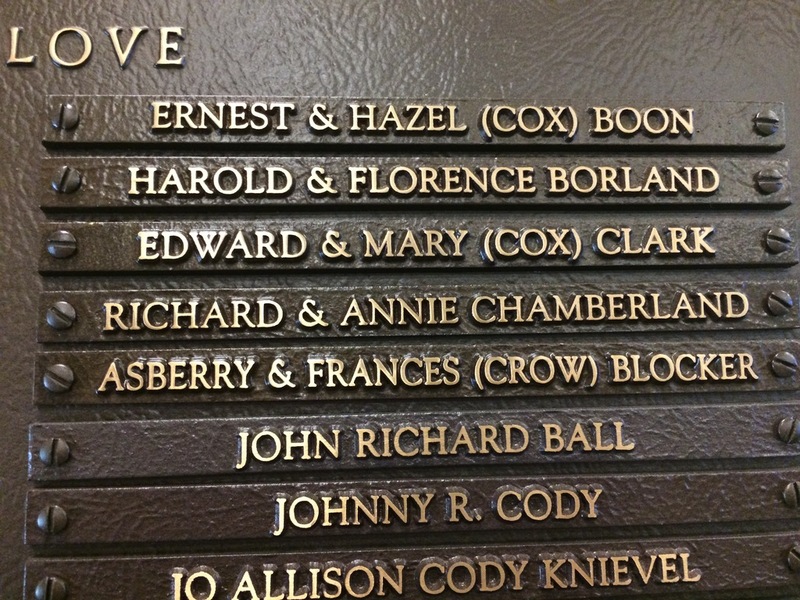 This plaque is mounted on the wall in the Memorial Hall. 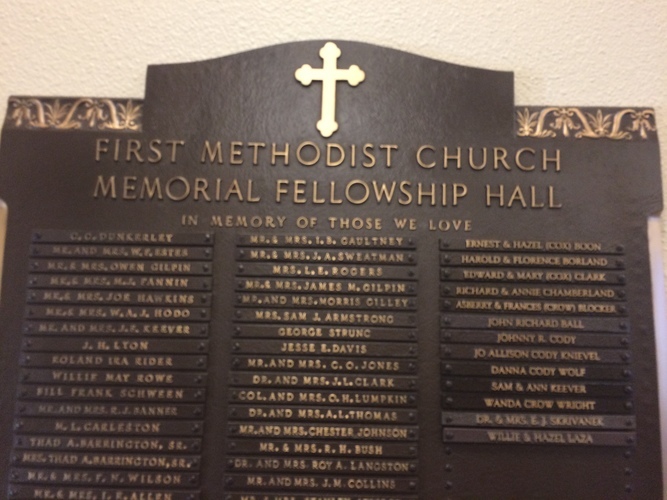 Wonder WHY it is called Memorial Hall? 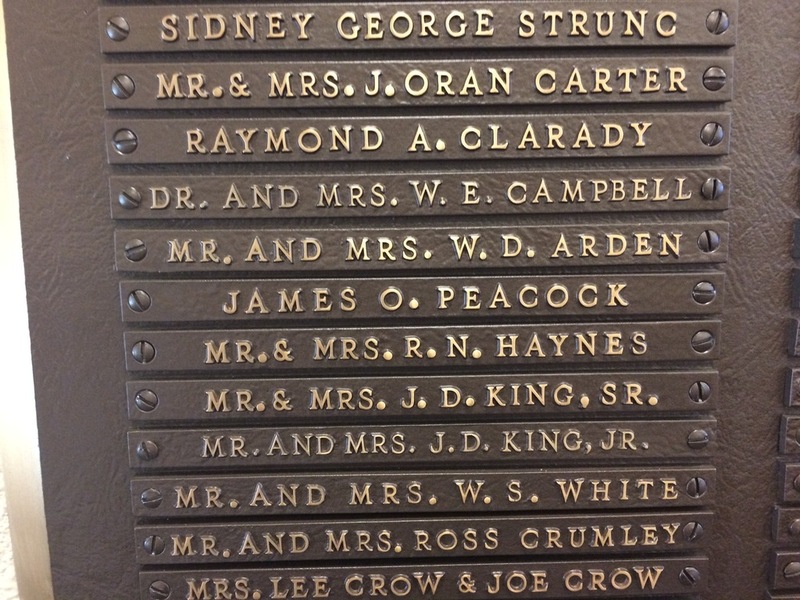 Well, it is called that in memory of the people whose names have been placed on the plaque for us to see and remember through the years. 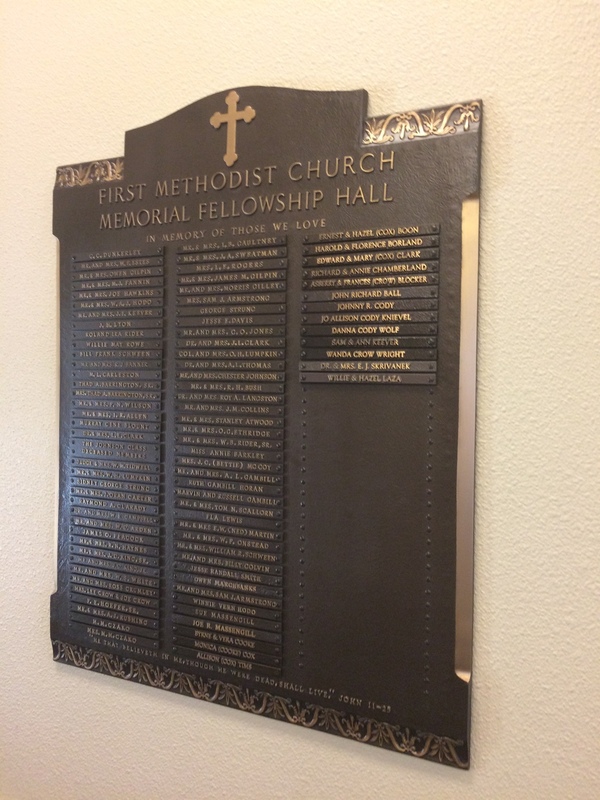 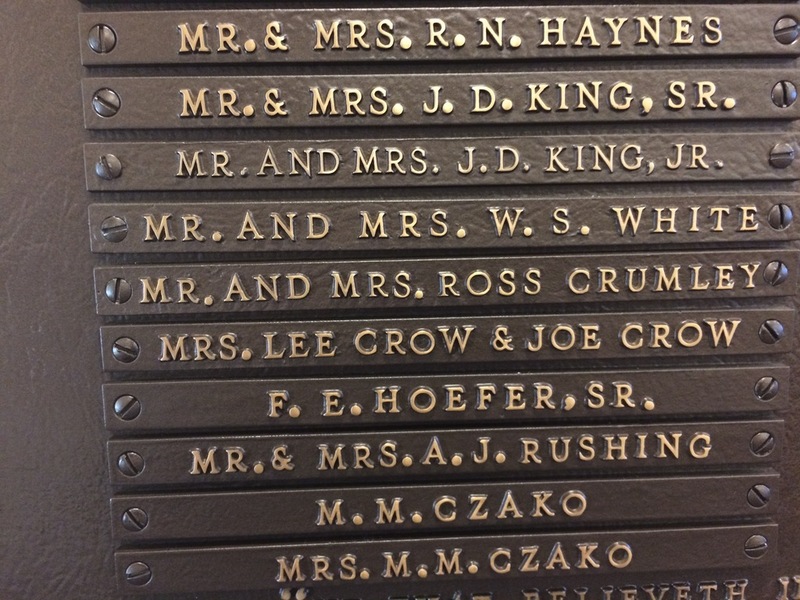 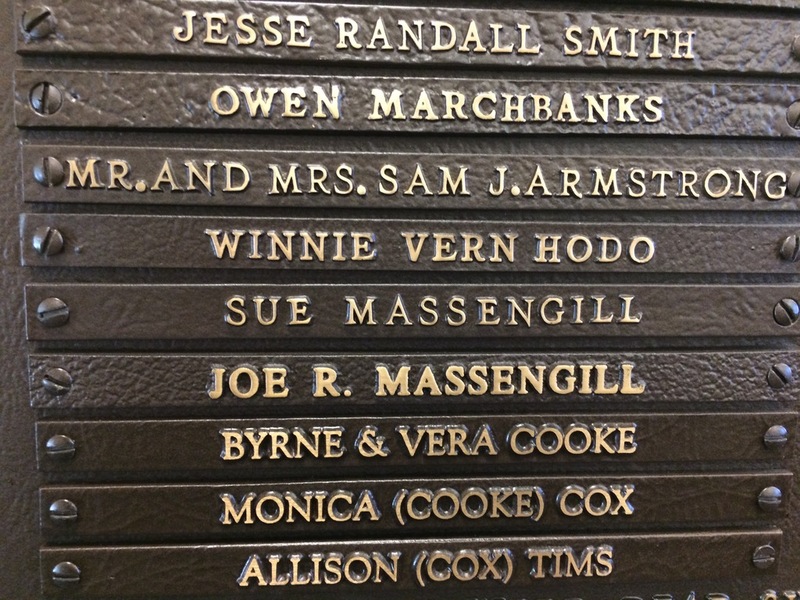 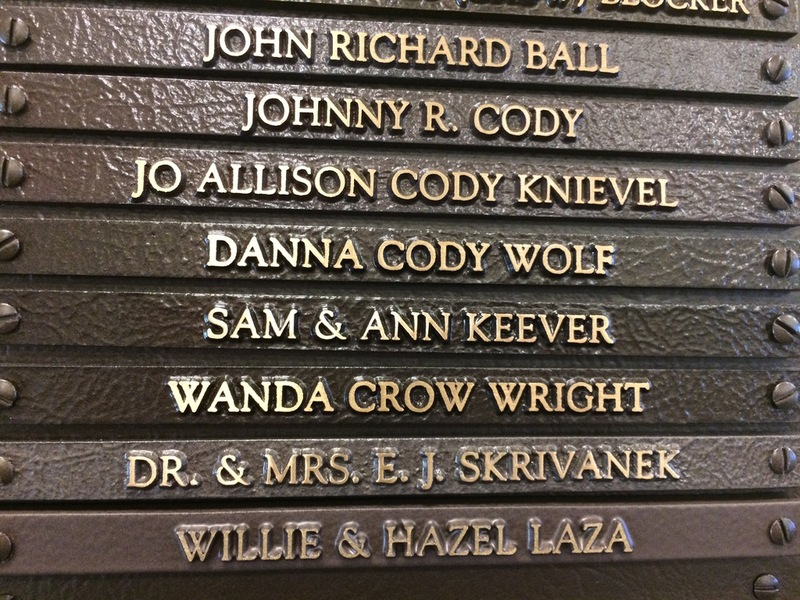 Each person or couple has had their names placed on this plaque to honor their memory by someone who especially loved them and wanted us to remember them.